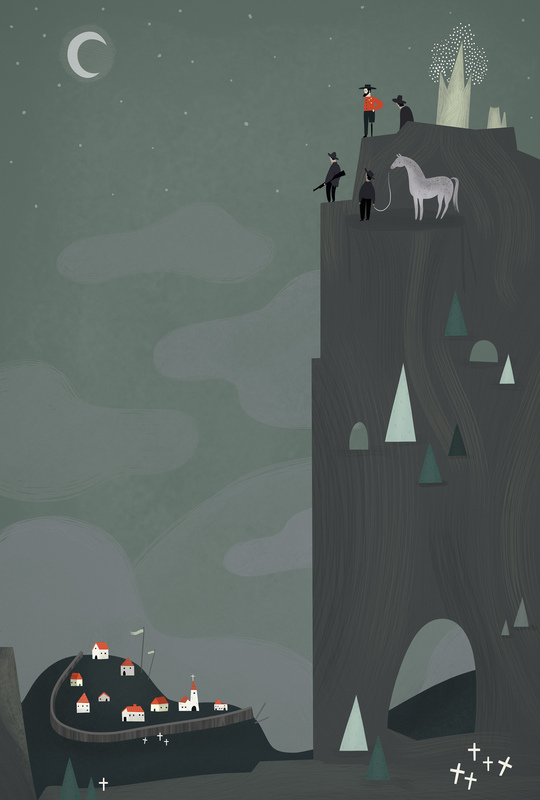 This entry was posted in Uncategorized and tagged cliffs, conrad grey, illustration, men, moon, soldiers, town by sarahgoodreau. Bookmark the permalink. haha, good catch! didn’t even notice! i’m in the throws of jet lag and my mind is not what it should be. thanks!! I also spotted the typo but how apt it is since it’s those pops of red that lead the eye through the art work. always good when a typo can be argued for!!! oh i like this compsition and the colours very much! High to the sky ! Splendid view!